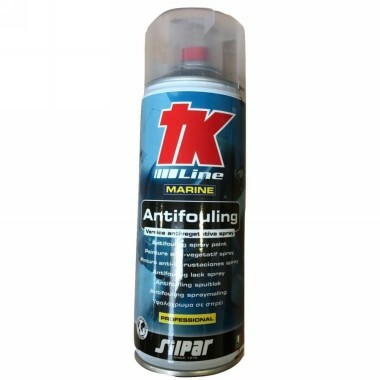 TK Anti-fouling is an antivegetative paint for the protection of gears and propellers in a practical spray package. It does not contain tin or copper compounds but carries out its action emanating organic non polluting poisons. Antivegetative with hard matrix indicated for average and high speed. This Product is suitable for trailed day boats or boats that are short term use and not left in the water for longer than 3 months. Vehicle: Acrylic resin modified with organic poisons. Pigment: Non-toxic pigments and extenders. Solvent: Medium-high boiling mixture of aromatics. Viscosity at 20 degrees C: 70 - 75 K.U. Solubility: Solubility variable with the speed of the craft. Drying: Fast-drying spray varnish. Depending on atmospheric conditions, the dust-dry time varies between 10 and 20 minutes. It allows operation to be resumed with approx. 5-6 hours. 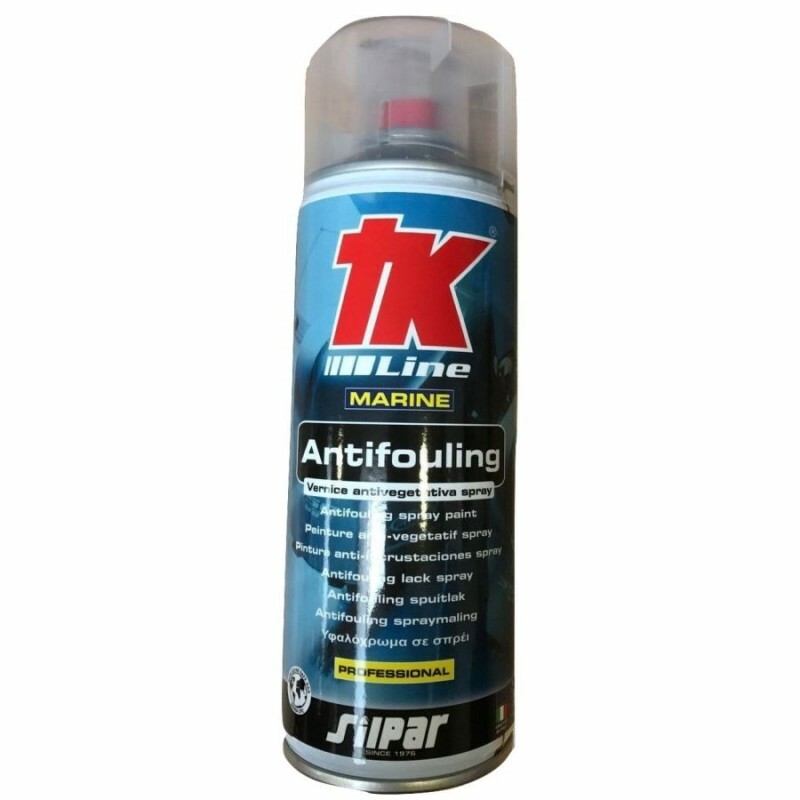 Use: Antifouling non-toxic super tropical for the protection of hulls or structures immersed in water. Free of metals, it prevents the formation of seaweed and the growth of molluscs. The binder, with programmed solubility, guarantees excellent protection.